Opposite approaches to media at public meetings, with the same old song and dance from GSSD. Board members sit around the table, all others fill about a dozen chairs along the side of the room. After all that promising last month to neighbors, business owners, city authorities, reporters, etc. to turn things around, you’d expect GSSD’s Board would’ve come roaring back with a load of progress to report in February. But not so much. 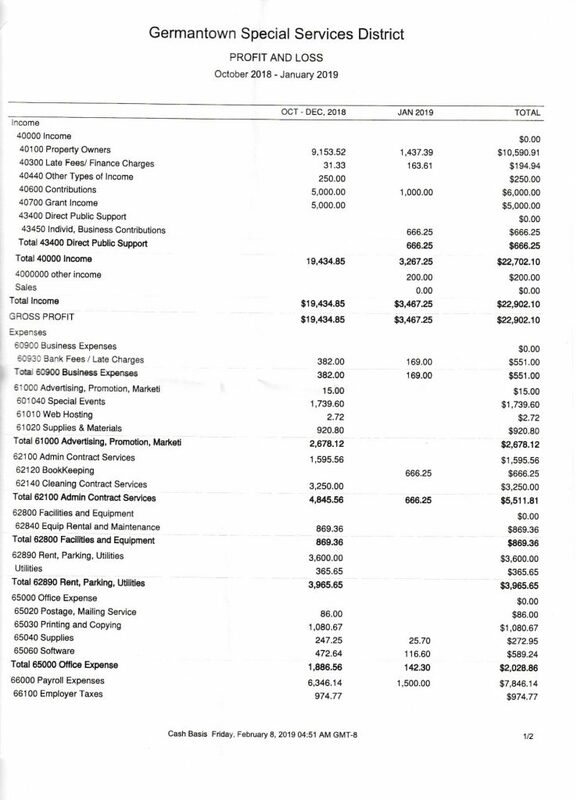 The biggest step forward seems to be that GSSD’s account has finally been able to access the paychecks records, so this month’s Profit and Loss statement actually shows the correct payroll and payroll tax split (see below for meeting handouts). 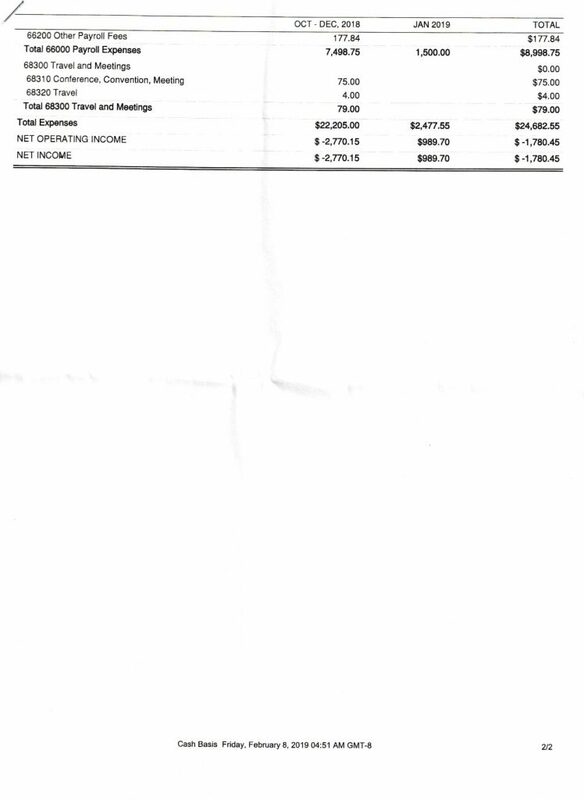 More good news: this year GSSD’s net loss is $1780.45 so far. “Which is tremendously better than where we stood last year at this time,” the accountant with Pyramid Accounting Solutions advised. So there’s that. Also GSSD’s interim vice chair Joe Meade has stepped down to focus on his role at LaSalle University (and with the CDC there). 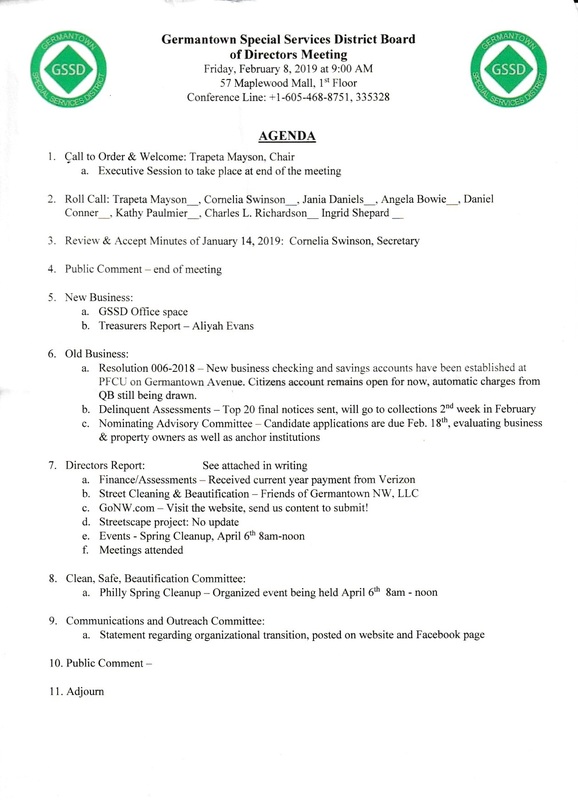 And interim executive director Jamar Kelly was not in attendance for this Board meeting, which created some buzz in the audience about an email circulating where he complained his image from the last meeting had been used for “memes and character assassination.” Oops I think I know who he’s talking about. I get it: no one likes to be called out on social media. But we have no control over how you appear to viewers. The camera is an impartial eye watching over public meetings. This isn’t paparazzi footage, it’s a community service. People who can’t attend meetings have a right to see what’s going on. Lean in, maybe, and learn to see video as a way to connect with the people you serve. These monthly “broadcasts” provide a great opportunity to promote a professional and welcoming image for GSSD. They could help demonstrate a new trust and transparency, too. Share GSSD’s progress and goals. Fundraise, even. What is the GSSD and what does it do? Why did GSSD keep employing the people who were doing the cleaning and doing a good job when you didn’t have money from the merchants? Why didn’t you stop rather than put GSSD in the hole? What are the terms of the lease on the GSSD’s office property? How has the Nominating Committee announced that they are looking for new Board members? Have they sent out a letter to the businesses who are being taxed? Has GSSD thought of putting artwork in the business corridor or offering any sort of beautification? Would GSSD like some help finding grants thru Rep Rosita Youngblood’s office? 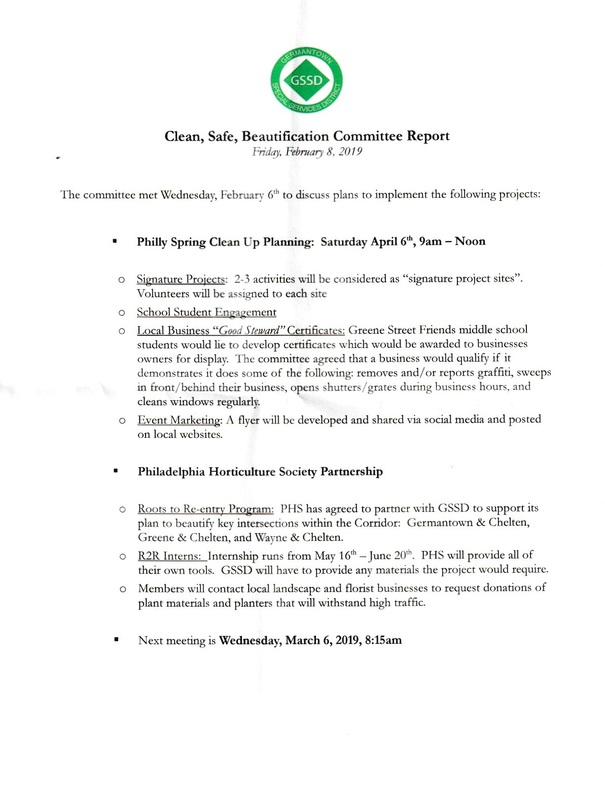 Has GSSD been made privy to the request for the proposal for the Commercial Corridor Cleaning Assistance program from the Commerce Dept (due in March)? Should we make sure that each contractor that works for us makes a living wage, at least $15/hour (as city employees are supposed to make)? Last year we spent $27k throwing parties in Vernon Park, can we agree that sort of expenditure isn’t a priority for GSSD? 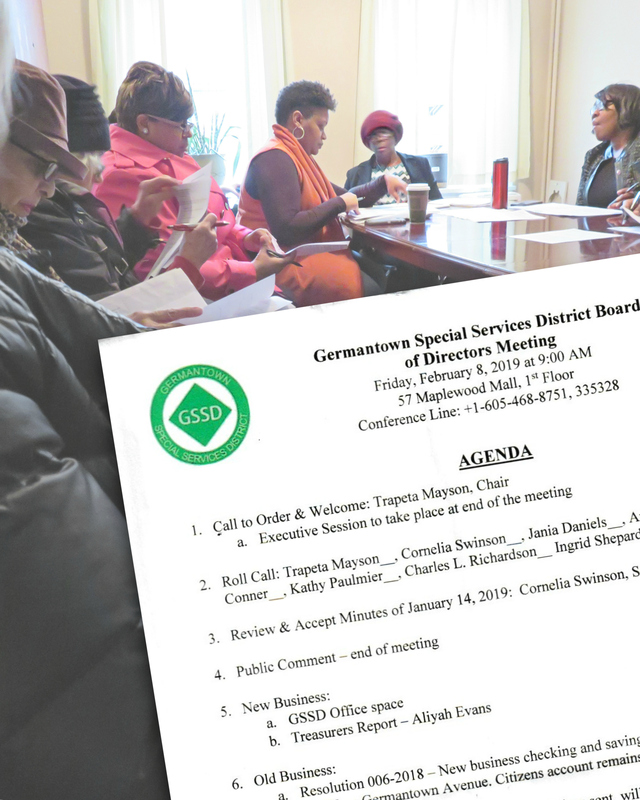 Shouldn’t GSSD’s executive director be responsible for following up on City departments who fail to provide the level of service Germantown requires (and has every right to)? Seems to me these are good questions but the answers were kind of… I dunno. Unsatisfying? Maybe it’s me. See what you think. Meanwhile it seems we’re still pretty much right where we were last month. Here’s an updated summary of key points from January’s meeting (recapped in more detail with video here). The Board failed to apply for their re-authorization last October, so they have no funds for cleaning. They’re paying Keith Schenk/Friends of Germantown Northwest thru donations. In January the GSSD’s bank account was $145 (that month they posted $1500 in cash donations). 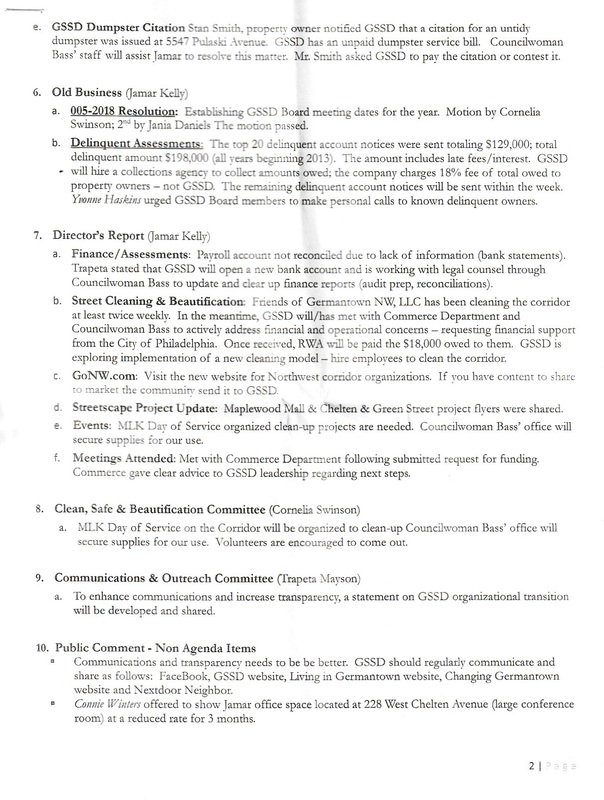 The organization owes Ready Willing and Able $18,000 for cleanup services. The owner of the property where GSSD stores their dumpster for free has been fined $302.10 by the City for trash overflow. The GSSD’s top 20 delinquent accounts total $129,000 in outstanding payments. The amount for all past-due accounts (going back to 2013-14) is $198,000. 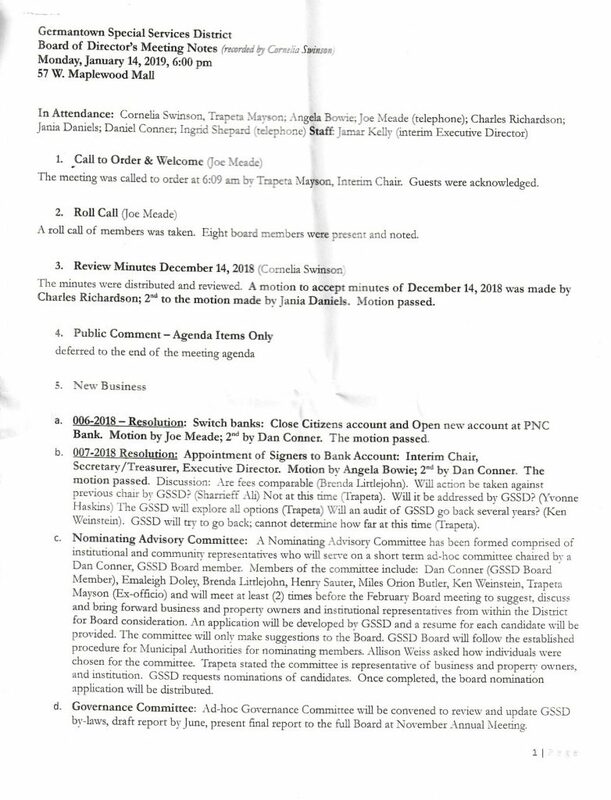 GSSD has made a request of Financial Assistance to Cindy Bass and the Mayor’s office. The Commerce Department summoned GSSD downtown in January to “explain ourselves and plead our case.” They also heard recommendations to “shore up confidence,” which they are implementing. Although yearly audits are required for SSD’s, no one at the meeting explained how GSSD has been able to operate this long without them. Or how they will be collecting tax money this year without authorization. The former Board chair who the Board alleges has refused to share access to GSSD’s financial records is still on the Board. 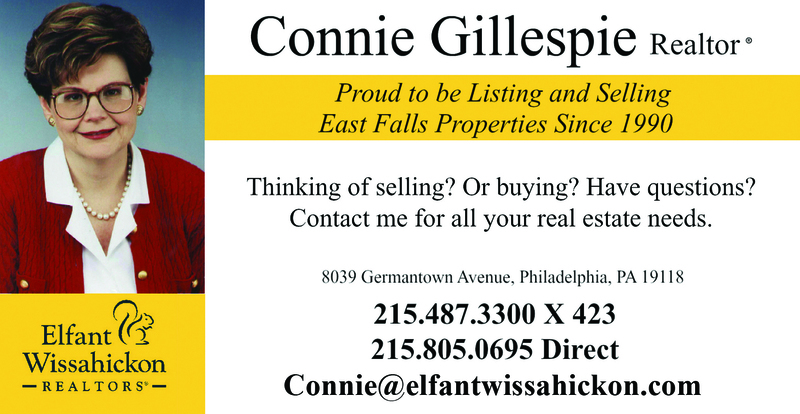 Two Board members work for Cindy Bass: Charles Richardson is her special assistance & Angela Bowie is senior policy adviser. 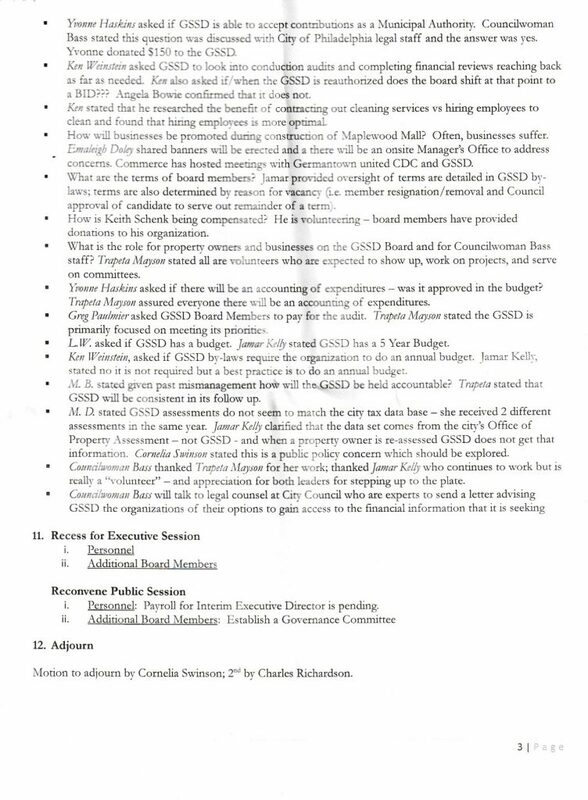 While yes Cindy signs their paychecks, as GSSD Board members they are strictly volunteers. Nothing to see here. Despite the Board’s whopping mismanagement, members will not be stepping down. Some terms are ending, though. There are 8 vacancies, and a new Nominations Advisory committee to help the Nominations Committee. 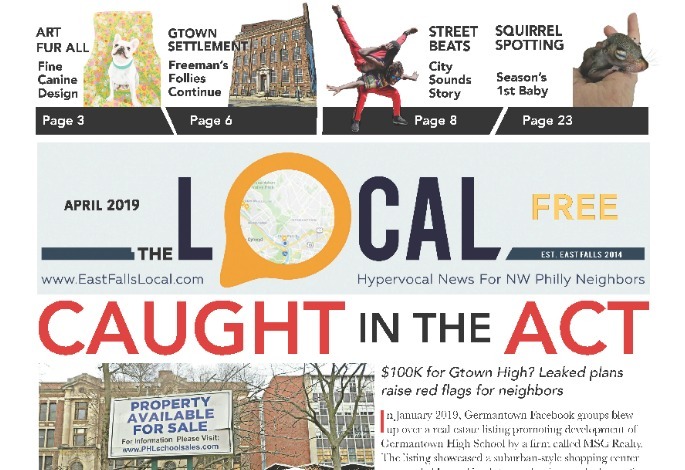 Remember that Jamar called for neighbors and business owners to “hold their feet to the fire… (and) make sure the Board and the organization is fulfilling its responsibility.” Special thanks to our readers for keeping informed about issues that effect the wider community. PS View more GSSD meeting footage on our YouTube page (going back to December 2018). FINAL WORD ABOUT OUR COVERAGE: Our writing strives to be conversational, not authoritative. We are doing our best to engage as authentically as we can, with all our cards out so to speak – so you know where we’re coming from. We would totally love to feature recaps by other neighbors! If you or someone you know has a spin to share on this meeting (or on GSSD in general), please email editor@eastfallslocal.com or reach out on social media. Keep up the good work on your reporting of GSSD. Very informative. It is important that a critical eye be kept on their ongoing operations. A lot of questionable activity has occurred with this organization and you have kept them accountable.